We are delighted to have created a necklace to raise money for, and awareness of, Bullying UK, part of Family Lives, the national family support charity. Our charity necklace carries the powerful words, 'Be Kind', alongside the lotus symbol, which represents regeneration and rising through difficulty. The mantra on the accompanying card is, 'In my words, thoughts and actions, I choose kindness'. It is part of ‘Mantra Changes Lives’, our commitment to making a real difference in the world. Bullying UK (part of Family Lives, the national family support charity - Registered Charity Number 1077722) provides support to anyone affected by bullying, via a helpline and online advice. They promote kindness and positive choices, and encourage those affected by bullying to seek support. Unfortunately, bullying can affect people at school, in the workplace, or in the community, and overcoming bullying can be one of the hardest things to do. At Mantra, we really want to help erase bullying by spreading positive messages, and making it clear that bullying should not be tolerated in any form. 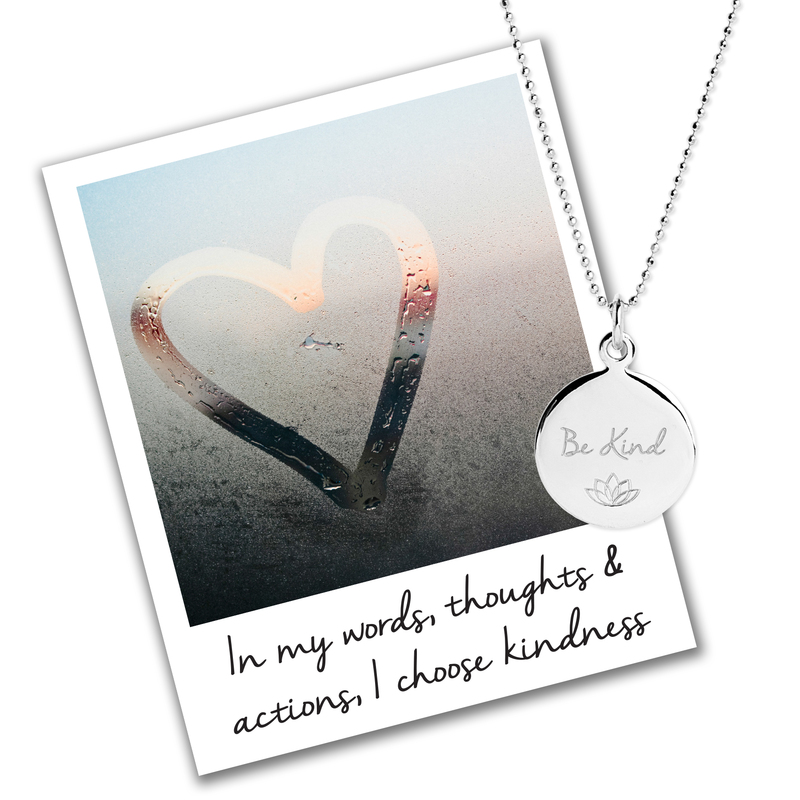 We are donating 25% of the sale of each 'Be Kind' necklace directly to Bullying UK. The Sterling Silver disc necklace is £45. It is also available in 18ct Rose or Yellow Gold plated onto Silver, priced at £65.